Join the discussion on our forums! 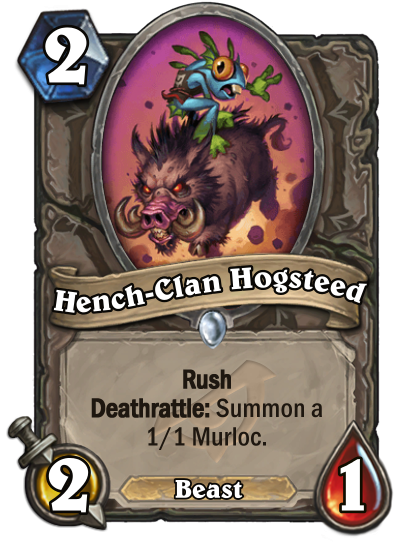 Come discuss Hench-Clan Hogsteed over in our dedicated Hench-Clan Hogsteed discussion topic. Rush Deathrattle: Summon a 1/1 Murloc. This is CLEARLY their first rodeo.